Delivered in 2-5 days U.S. 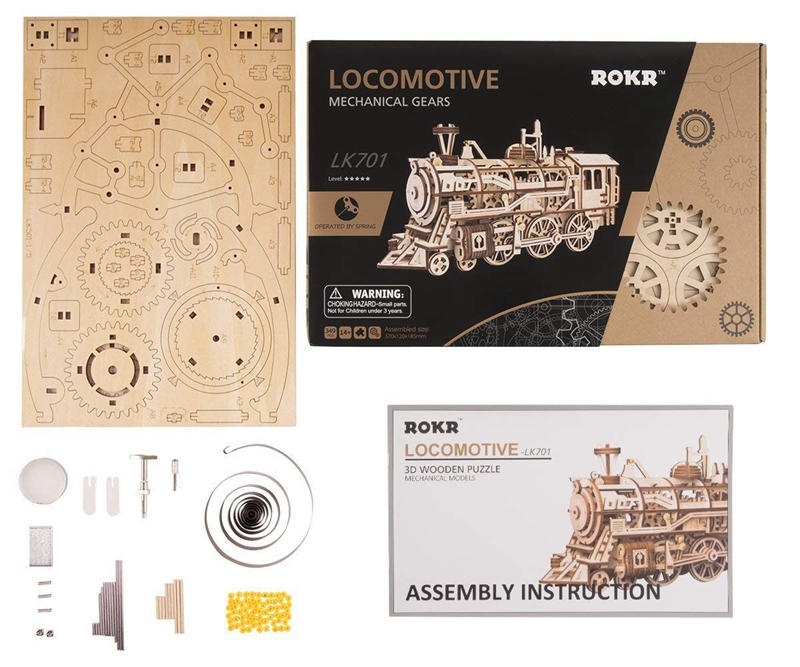 Build Your Own Mechanical Locomotive and Watch It Come To Life! Do you find historical locomotives intriguing? Here's your chance to own and assemble your own and marvel at the inner-beauty of this Model kit! Designed to reveal the beauty of its inner gears, assemble all 348 tweak-wood pieces and watch it come to life! Perfect for the tinkerer looking for a new challenge! ✔ A fantastic activity - Turn the TV off. Whether you build it on your own or with your family, it makes a great pass time as it challenges you to be creative and stimulates the brain. ✔ A timeless display piece - Friends and family will admire the historical display and you will enjoy telling them all about the journey! ✔ Lasts a lifetime - Forget about batteries. Propelled through gears and springs, wind it up and enjoy the mechanical nature of the locomotive. ✔ No tools and equipment required - No glue or chemicals required, everything included in the box, including extra's for the fragile pieces. And if you run out of extra's let us know and we'll send out replacement pieces.